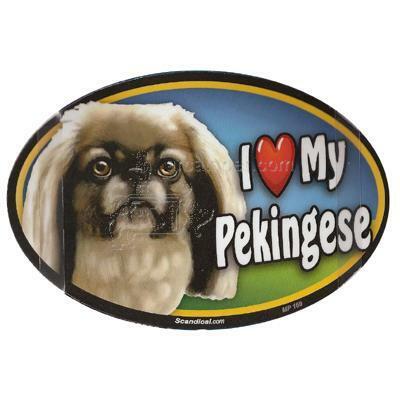 With these quality dog breed image magnets you can show your love for your favorite dog breed. Each magnet reads 'I (heart) my (breed)'. Make a statement on any surface that will take a magnet - car, refrigerators, lockers, magnetic paint, file cabinet and more.